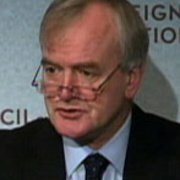 Willem H. Buiter is a macroeconomist and global chief economist at Citigroup. Prior to joining Citigroup, he spent six years as a professor at the London School of Economics and Political Science, teaching political economy. From 2000 to 2005, he was chief economist and special counsel to the president at the European Bank for Reconstruction and Development, and from 1997 to 2000 was an external member of the Monetary Policy Committee of the Bank of England. Additionally, Buiter has been a consultant to the International Monetary Fund, the World Bank, the Inter-American Development Bank, the Asian Development Bank, as well as to other multilateral institutions, national governments, and central banks. He was also a senior advisor at Goldman Sachs International and a member of the Academic Advisory Board of APG Investments. Buiter was a full-time teacher and academic researcher for nearly three decades and has been an Adjunct Professor of Economics at SIPA, Columbia University since 2015. He holds a BA in economics from Cambridge University, and an MA, MPhil, and PhD in economics from Yale University.